Bristol Wedding Jazz - romantic piano, jazz duo or jazz trio for your wedding in Bristol, Bath, Somerset, Gloucestershire and Wiltshire. Book a fabulous musician or band for your wedding. Bristol and the surrounding counties have produced some of the UK's finest jazz performers and continue to be a centre for high quality music including jazz, swing, blues, latin and more - perfect for weddings. Top musicians from solo pianists to jazz duos and jazz trios (including café jazz style and 'Casablanca' style music). 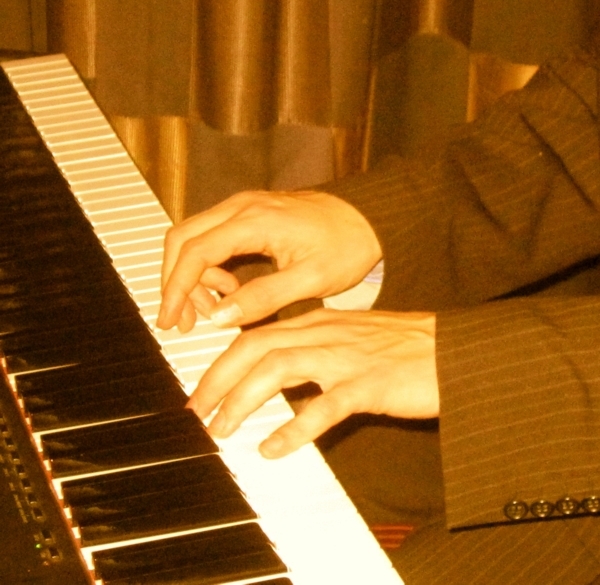 Available for romantic piano at wedding ceremonies, background jazz or cocktail music at receptions and a classy jazz trio in the evening. As seen at Brasserie Blanc, Harvey Nichols and other venues in and around Bristol.